Don’t you just love Dim Sum? I could eat it every day! 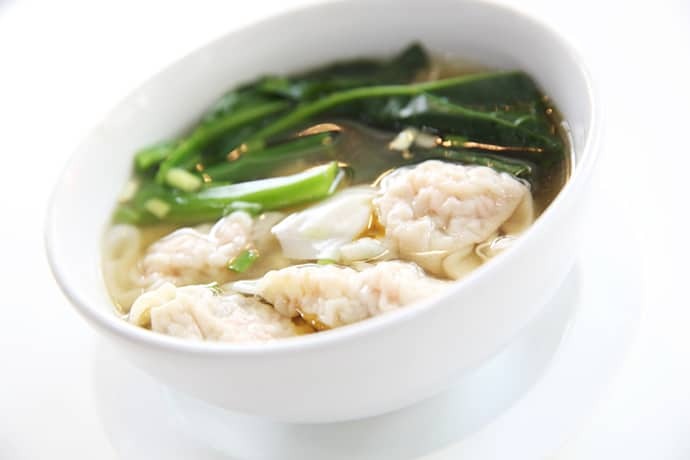 This Chinese Dumpling Soup is a little like eating Dim Sum… in a bowl. When the weather turns cold, or we’re nearing Chinese Near Year, I love to warm my family with a steaming pot of homemade soup. This soup has long been a favorite. And while we all love to savor the distinct nuances in Asian food, this recipe seems to combine those essences into zestful flavors; something special and unique for each of our individual pallets. It is a pleasing and hearty mix of tang, sweet, and spice. 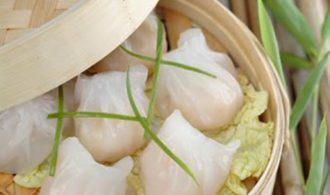 A perfect choice for Chinese New Year celebrations as boiled dumplings are believed to symbolize the ushering in of wealth and good luck for the coming year. 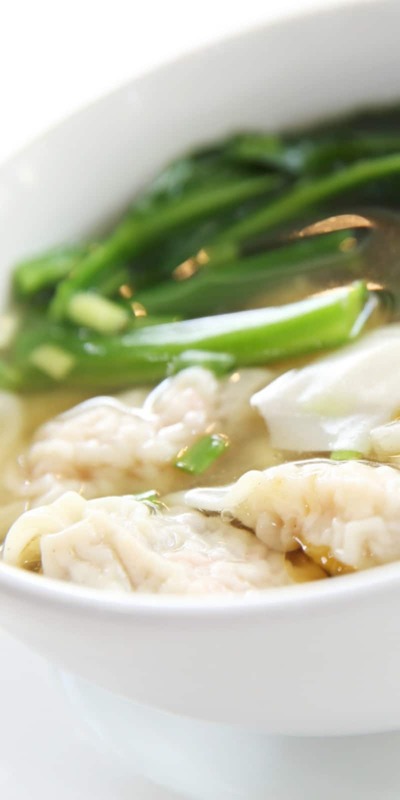 Put the broth, ginger, soy, rice wine, vinegar, sesame oil, sugar, and salt in a soup pot and bring to boil, reduce heat and continue simmering for 10-15 minutes to flavor the ginger. Add the carrots and zucchini. Continue to simmer until vegetables are tender, about 5 minutes. Just before serving, add the dumplings, cook for 3 minutes, stir in the scallions and spinach and garlic. Simmer until the greens wilt, about 1 minute. For added spice, serve with chili or Sriracha sauce and thinly sliced red chilies on the side.